Propyl gallate is an antioxidant that is used in cosmetics and personal care products as a preservative to prevent microbial contamination and product degradation. Propyl gallate is an ester formed by the condensation of gallic acid and propanol. Gallic acid is derived from gallnuts, sumac, witch hazel, tea leaves, oak bark, and other plants. Propanol is a primary alcohol that is formed naturally in small amounts during many fermentation processes. Propyl gallate has been used as a food additive since 1948. When it is added to foods containing oils and fats, it functions as an antioxidant to protect against oxidation by hydrogen peroxide and oxygen free radicals. Propyl gallate is soluble in ethanol, ethyl ether, oil, lard, and aqueous solutions of polyethylene glycol (PEG) ethers of cetyl alcohol, but only slightly soluble in water. A 2007 safety assessment of propyl gallate states that it is used as an antioxidant in a reported 167 cosmetic products at maximum concentrations of 0.1%. Propyl gallate is used in many product categories, including lipsticks, bath products, skin cleansing products, moisturizers, skin care products, makeup products, self-tanning products, and sunscreen and suntan products. It is sometimes used as a packaging material, and may also found in some adhesives and lubricants. In order to explain how antioxidants like propyl gallate work, it’s first necessary to understand free radicals. In chemistry, a free radical is an atom, molecule, or ion that has a single unpaired electron in the atomic orbital. Under normal circumstances, an atomic orbital is capable of holding two electrons. However, since free radicals only have one electron, they are unstable and highly reactive. The problem arises when free radicals attempt to become more stable by donating their single electron to another molecule or accepting an electron from another molecule. As an antioxidant, propyl gallate protects cosmetic products from oxidation, which is the loss of electrons. For example, when products are exposed to air, oxygen from the air is reduced, gaining electrons from ingredients such as fats and oils in the formulation. Oxidation can also be caused by factors such as heat, light, and moisture. Oxidation results in rancidity, color changes, viscosity changes and deterioration of active ingredients in finished products. By adding an antioxidant preservative like propyl gallate to cosmetic formulations, the product will be less susceptible to degradation when exposed to environmental elements. Propyl gallate also possesses antimicrobial activity. For instance, propyl gallate has shown to have a strong lethal effect against E. coli bacteria. 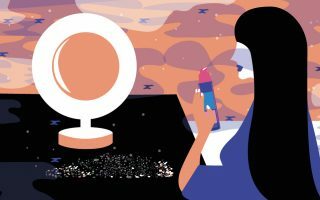 Protecting cosmetics and personal care products against microbial contamination is important since these products are highly susceptible to microbial growth. 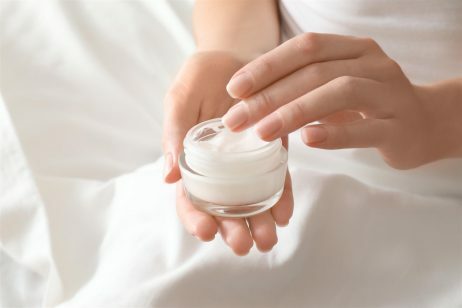 The most susceptible products are creams and lotions that are packaged in jars, opened frequently, and applied to the skin with the fingers. Inadvertent contamination may also occur after the use of makeup brushes around the eyes or other parts of the face that touch the skin and the cosmetic repeatedly. Each use increases the chance for contamination. Microbial contamination can lead to significant health problems, from skin irritation to infections. Preservatives with antimicrobial activity, such as propyl gallate, can help to prevent these problems. According to the United States Food and Drug Administration (FDA), propyl gallate is a generally recognized as safe (GRAS) antioxidant to protect fats, oils, and fat-containing food from rancidity that results from the formation of peroxides. The FDA restricts the use of propyl gallate to a maximum concentration of 0.02% of the fat or oil content of the food. The safety of propyl gallate has been assessed by the Cosmetic Ingredient Review (CIR) Expert Panel. The Panel noted that little systemic toxicity was associated with oral or dermal exposure to propyl gallate. However, propyl gallate has been shown to be a dermal sensitizer at concentrations of 1% and greater. Because of the potential for sensitization, the CIR Expert Panel set a concentration limitation of 0.1% for propyl gallate use in cosmetic and personal care products. Otherwise, the Panel concluded that propyl gallate was safe in the practices of use in cosmetics and personal care products. References: Wikipedia, “Propyl Gallate”, Cosmetics Info, “Propyl Gallate”, Int J Toxicol. 2007;26 Suppl 3:89-118, Journal of Food Protection, 1977, 40(8), 520-522.